Try the bar that won Gold for Best Dark Chocolate at the most prestigious chocolate festival in the country! 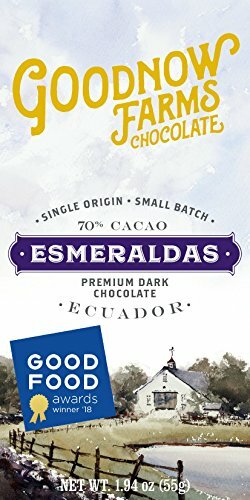 We craft this award-winning bar using fine flavor beans sourced directly from the Salazar family farm in Ecuador. We make our chocolate by hand in small batches here at our New England farm using only cacao beans, sugar and our own fresh pressed single origin cocoa butter. The result is exceptionally smooth and flavorful chocolate that highlights the true flavors of the cacao!